Join us at Seven Arts for a double bill of Bharatanatyam dance, exploring its classical roots in ancient India and its more contemporary narrative in the UK. 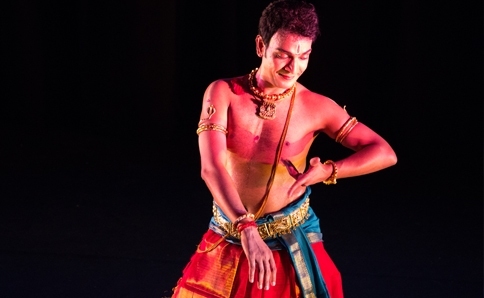 Step back in time to ancient India and discover the origins of Bharatanatyam dance. Discover the South Indian tales of Gods and Goddesses, and see these mythological stories unfold before your eyes through the sophisticated gestures of hands, eyes and faces of the dancers on stage. Aasha is a new choreographic piece which tells the story of a cancer survivor and the central role played by hope in overcoming the disease, both in its physical and emotional effects. The language of Bharatanatyam meets the one of contemporary dance to explore both deep science and deep emotion, in an experimental choreography by Santosh Menon. Take part in a Q&A with Santosh Menon at the end of the evening.